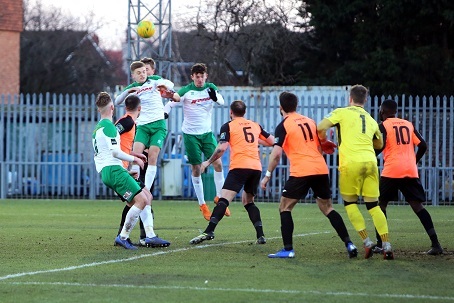 It’s normally defence which wins championships; but it looks as though if Bognor are to launch a playoff push then it will be the offence which plays the key role. With injuries hitting the Rocks hard, Jack Pearce’s side have gone on the attack netting 16 times in the last six games – nearly three a match. Jimmy Muitt’s form has been crucial to that. But Bognor’s hopes in front of goal have been boosted further with the news that Brad Lethbridge and Dan Smith will remain on loan at the Nye Camp until the end of the year. It had been unclear if Portsmouth boss Kenny Jackett was prepared to allow the duo to extend their spells with the Rocks. But the Fratton Park manager has sanctioned the deal, on the provision they can be recalled by the League One side if needed. Pearce said: “As ever, we thank Portsmouth for allowing them to extend the loan period. “We’re ever so pleased with the progress both players have made while they have been with us.